MDC-T leader Mr Morgan Tsvangirai, reeling from problems at home and in the party, yesterday appeared at Nigerian prophet Temitope Balogun Joshua (Prophet TB Joshua)’s Synagogue Church Of All Nations (Scoan) seeking spiritual answers to his crumbling deck of cards. Mr Tsvangirai’s visit comes in the wake of increasing calls for his resignation from the leadership of the MDC-T in the wake of his crushing defeat in the harmonised elections on July 31 where he managed only 33,94 percent of the presidential vote against President Mugabe’s 61,09 percent. Mr Tsvangirai’s party also lost heavily in the parliamentary race where Zanu-PF won 160 of the 210 contested seats, MDC-T winning a paltry 49, while one seat was won by an independent. With the inclusion of seats from women’s proportional representation, Zanu-PF ended up with 197 seats, the MDC-T 70, while the Welshman Ncube-led MDC formation has two. In the Senate, Zanu-PF has 37 seats, MDC-T 21, MDC one, with 18 chiefs and two representatives of people living with disabilities completing the composition. 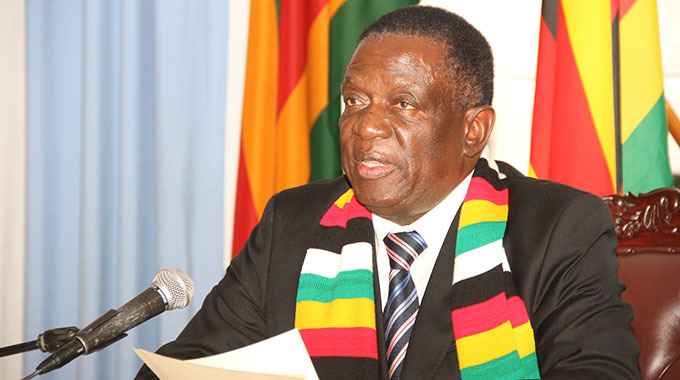 The result puts Zanu-PF in total control of proceedings, surpassing the two-thirds majority. Mr Tsvangirai is alleged to have travelled to Nigeria over the weekend where TB Joshua was delivering a message titled: “Approaching God In Humility,” yesterday morning. He is seen in a widely circulated video yesterday standing in a prayer line at TB Joshua’s church, while wearing a red and yellow African attire outfit. Mr Tsvangirai falls helplessly into his chair when TB Joshua lays his hands on him. This is not the first time the MDC-T leader has visited the Nigeria prophet as his first public visit came in 2010 when he was accompanied by his estranged wife Ms Locardia Karimatsenga Tembo on September 1, 2010. MDC-T national organising secretary Mr Nelson Chamisa said he was not qualified to comment on the matter and referred questions to Mr Tsvangirai’s spokesperson Mr Luke Tamborinyoka. Mr Tamborinyoka’s phone was not available by time of going to print, raising speculation that he could have travelled to Nigeria with his boss. “I am not the best to comment on that issue,” said Mr Chamisa. Efforts to contact the party’s spokesperson Mr Douglas Mwonzora were fruitless as his phone was also not available. 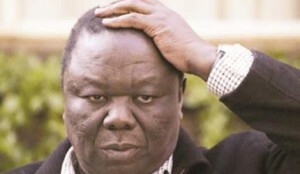 Sources said the Nigerian prophet in 2010 told Mr Tsvangirai that he would never be president of Zimbabwe and this did not go down well with him and he reportedly went on to consult various prophets and traditional healers across the country, but they told him the same story. TB Joshua, is a Christian minister, televangelist and faith healer. He founded the Scoan, which runs a Christian television station called Emmanuel TV, and is available on satellite and on the Internet via the Streaming Faith broadcast portal. Scoan claims that TB Joshua has successfully predicted events in the lives of individuals who attend his church services as well as worldwide events, including a prophecy of Michael Jackson’s death, the Boston bombing attacks in America and the outcome of various football matches.